Getting heavy bills because of extraordinary data usage? Well this is so normal these days because you might not have realized this but each and every application on your smartphone is consumes data continuously in background. All the applications are dependent on internet to show you best and accurate results. It makes sense if your smartphone consumes data when you stream videos, Music or make voice or video calls. But spending your mobile data on something which you hardly care for means you are wasting your money. There can be many ways to save mobile data on your android but device it totally depends on that which method is suitable to you. 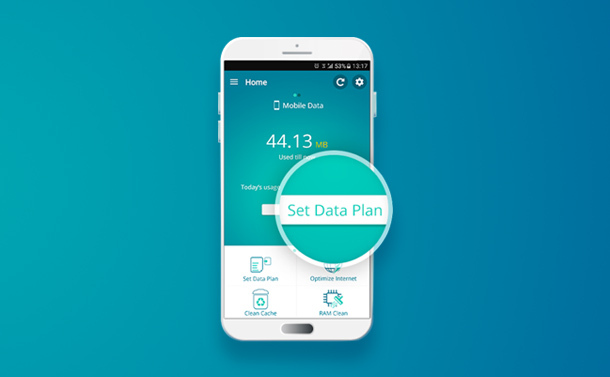 Here we are listing some tips to reduce data usage on Android smartphone. As we have already discussed whether it is required or not your applications keep consuming data, but you can stop them from doing this the method is very simple. All you need to go to the settings of your smartphone and then you can go to data usage. Here you will find all the applications installed with the amount of data they are consuming. On some devices this may be categorized in Background and foreground data. You can restrict your application data by toggling the switch given next to restrict app background data to restrict data usage on android. If automatic updates are turned-on on your android device, then it can be a big reason for extra data usage. You can choose to update apps only over Wi-Fi going to Play store settings this works like a magic if you are getting heavy mobile bills because of data usage. Developers keep on releasing updates for their applications to make them capable of doing more sometimes these updates entirely uninstall the app and reinstall it on your device. Here is how you can turn off automatic updates on your device to manage data usage on android. Navigate to play store from the home screen of your device. Go to settings by tapping on the three dots given at the top. Then head to “Auto update apps” and choose either to update apps over Wi-Fi or to never update apps in both the cases you can always manually check for updates. If you are going on a road trip or if you often check the same map on Google Maps app then it is a better solution to download the Map over Wi-Fi. This helps to reduce data usage because every time you open google Maps first it loads the Map and then give you a fair idea about location or the traffic. To download a Map or a particular area you can go to the menu of google Maps and then you can choose “Select your own Map”. Once you have decided which area you want to download you can easily choose it. It is as simple as cropping an image. click Download button. If you have auto sync or auto backup turned on over mobile data, then it is an obvious reason for over consumption of data. Most of the well-known apps are having feature to auto backup or sync data they are by default turned off. If you have accidently turned auto backup or sync on, then you should turn it off to save data on android phone. These applications mostly include WhatsApp, google Photos and your default cloud storage apps. 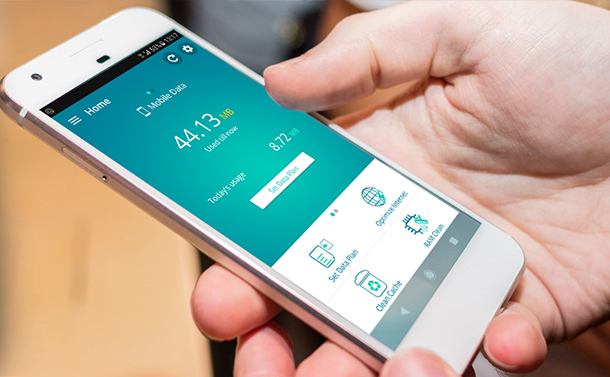 If all your methods of putting a cap on the data usage proved to be helpless then you can simply go for a third-party app which is expert in managing data usage on android for you. Here we are describing Check Data Usage app from Systweak software which is perfect for this purpose. You can download this application for free from the given link. Here are the key features of this application. Monitors Mobile data and Wi-Fi usage separately. You can set Data usage limit in GB or MB or you can set your plan expiry date as the limit. Minutely monitory each application’s data consumption behavior. 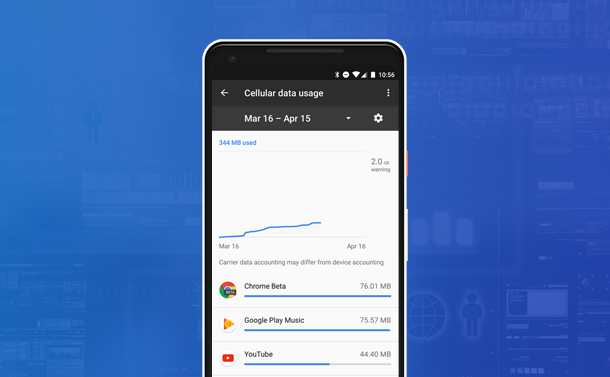 Shows you graphical representation of your data usage behavior. This is how you can effectively reduce data usage on android device. Again, this depends on use to user because every user uses its device differently and having different data consumption habits. If there is anything which worked perfectly for you then you can tell us in the comment box.